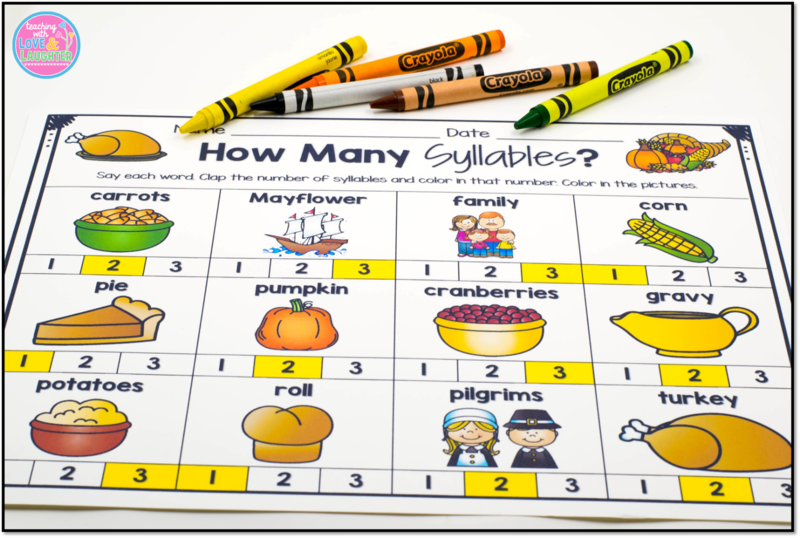 Here are some fun and engaging activities for kindergartners. There's a great mix of hands on activities and no-prep printables. Planning your centers will be a breeze! Scrambled sentences are always a big hit. Students will have lots of success reading the words on the cards. A sentence recording sheet is included, along with an answer key, to make this activity self checking. These turkey rhyming cards are sure to engage your students! They can be used as a memory game, a matching activity, a write the room activity, or, just leave them at a center, along with the recording sheet. 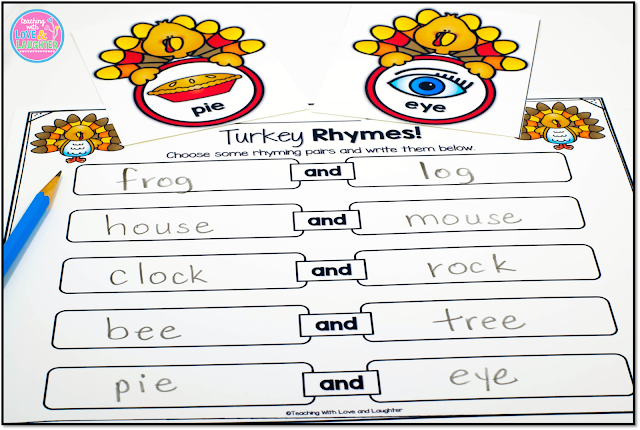 A recording sheet for matching ten rhymes is also included. There's no better time to learn how to write a thank you note, then during Thanksgiving time! 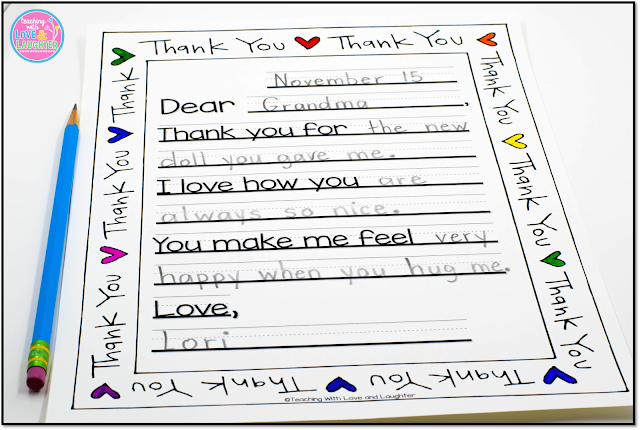 Students can write to anyone! A template without the prompts is also included. Here's a fun way for students to learn and practice counting syllables in words. 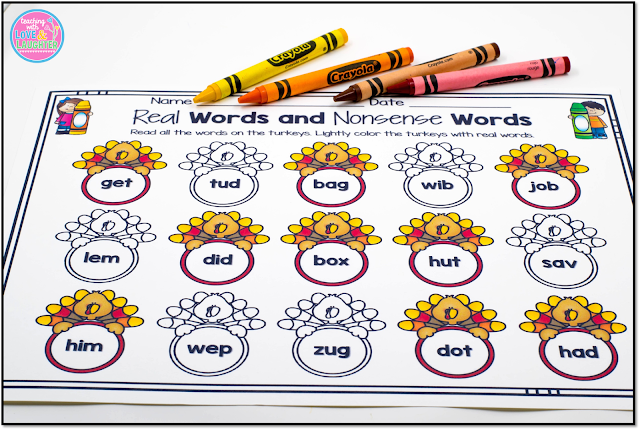 There are printables for real and nonsense words, and beginning and ending sounds, as well. All of them come with an answer key! Click here or on the image below to see these activities in my store! 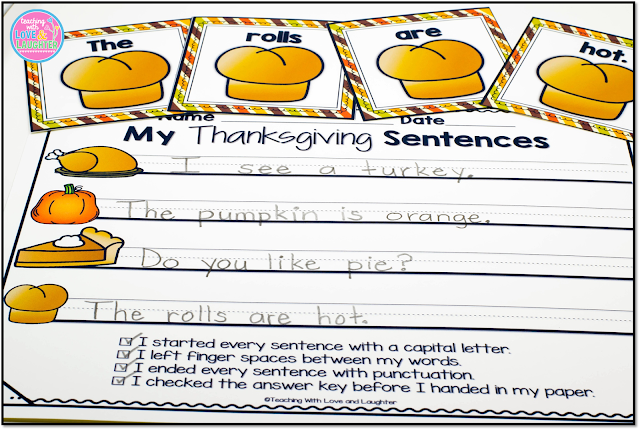 Need some Thanksgiving activities for first or second graders? Here are some great ones! You can grab these Thanksgiving activities on sale, along with the rest of my store on October 31 and November 1!